Those dreaded days.. when I have to put my girls on a plane, alone, knowing I will not see them for a while.. But also one of the most beautiful..
Then there is check inn, the staff never seems to get used to the fact that they fly alone. So we go through the lengthy process of looking for unaccompanied minor forms, asking me a million questions (one of them being “are they twins?”).. Luckily, my girls always charm the ground crew with their (limited) Kiswahili.. and then we wait.. where no one really knows what to do with me so I freely pass restricted areas all the time. 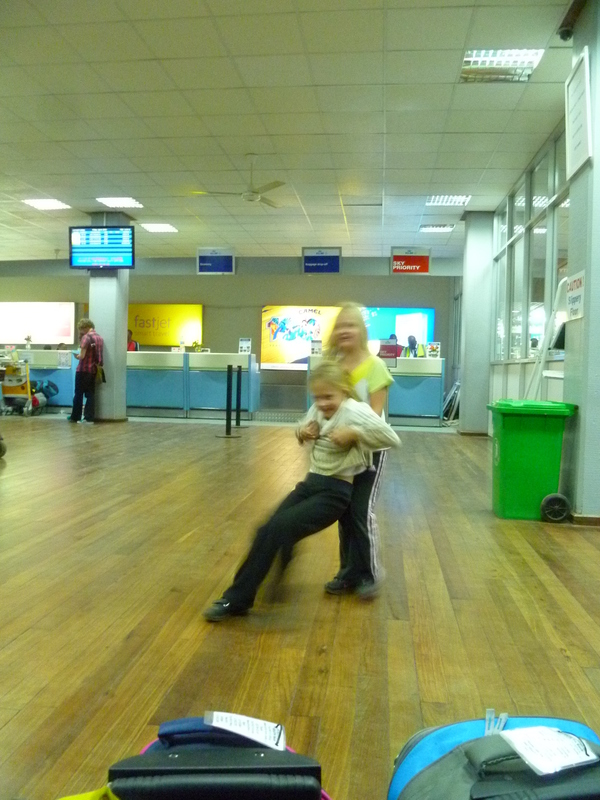 The girls are usually very good at entertaining themselves, they are way too comfortable in an airport.